It’s the time of year when your house is full again, because your child is off from school for the holiday. It’s nice to have them around so you can dote on them a little bit, and it’s very tempting to just let them lounge and soak up some leisure. However, this time could also be more useful. Does your child need their wisdom teeth removed? Have they been complaining of pain in the area for months, but haven’t had time to do it? The next few weeks will probably be their last bit of freedom until the Spring, so now is the time to act. 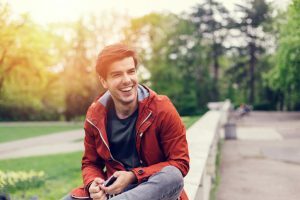 Your periodontist in Colorado Springs explains a little more why this is the right time to get their wisdom teeth extracted. The last set of teeth to come in are the third set of molars, and these are commonly called the wisdom teeth because they start to come in when someone is in their teen or adult years. Most people do not have the room to accommodate these teeth, so many have them removed. If the wisdom teeth are left alone for too long, they can cause a multitude of problems. As they try to erupt, they push against the other teeth. This force can cause the teeth to crowd and misalign, which in turn can affect how the jaw fits together. It is common for the wisdom teeth to be very sore because of this force being applied, and eventually they can develop an infection. At this point, they can become very painful and may need to be removed immediately so the infection doesn’t spread to the surrounding gums and jaw. The extraction process is made very complicated, and will probably take a few weeks to completely recover from. This is why your dentist will always examine your child’s wisdom teeth whenever they come in for a standard check-up, and will often advise that they need to be removed as soon as any trouble begins. Wisdom tooth extractions in Colorado Springs at Rocky Mountain Periodontal Specialists, if done at the appropriate time, only take a week to recover from. This is why during your child’s holiday break, they have plenty of time to get it done, and then they’ll never have to worry about it again. The longer they have their wisdom teeth, the more likely issues will occur. Once they start hurting, they generally don’t stop until they are removed. This can make it difficult for them to focus during the year, and they have enough distractions already. By using this time now, you’ll be able to save them from potential health issues in the future and not throw off their schedule. They may have to spend a week recovering, but it’s much better to do it now than during the school year when they have classes and tests every day. Dr. Lackler and Dr. Haradon have performed the procedure thousands of times at this point, so you can trust your child will be taken care of and their recovery will be quick and easy. They probably won’t like it, but your child will thank you later when they see their friends having to miss school to get their wisdom teeth removed. You can save both of you a lot of stress by taking care of it now while they have little going on. If you’d like to know more about how wisdom teeth extractions work, or the recovery process, please call us today.